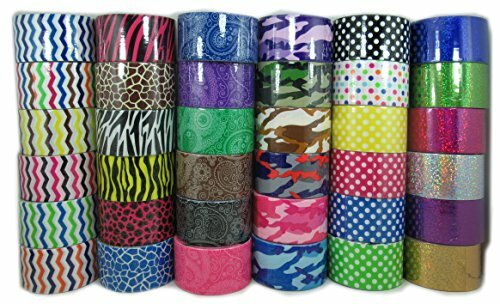 Good deal for 36 roll 36 unique pattern duct tapes, great idea for artworks, craft or packing wrap. multi purpose for art works, school work, children craft. If you have any questions about this product by hnf shop, contact us by completing and submitting the form below. If you are looking for a specif part number, please include it with your message.